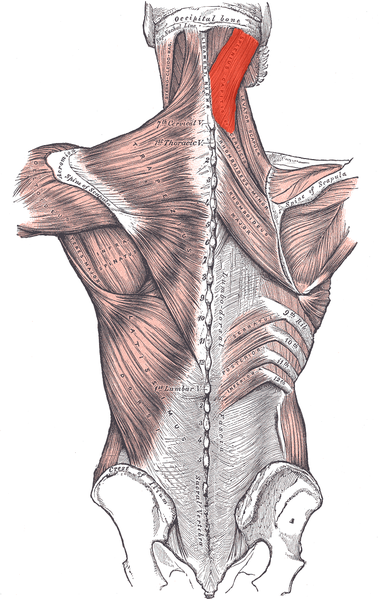 Musculus splenius capitis is one of the deep (or intrinsic) muscles of the back. It is a broad strap-like muscle in the back of the neck. Deep to Sternocleidomastoid at the mastoid process.